Every time I capture an image that I think would look good in a painted type format (digitally created), I usually try a few different versions to determine what presentation looks best. 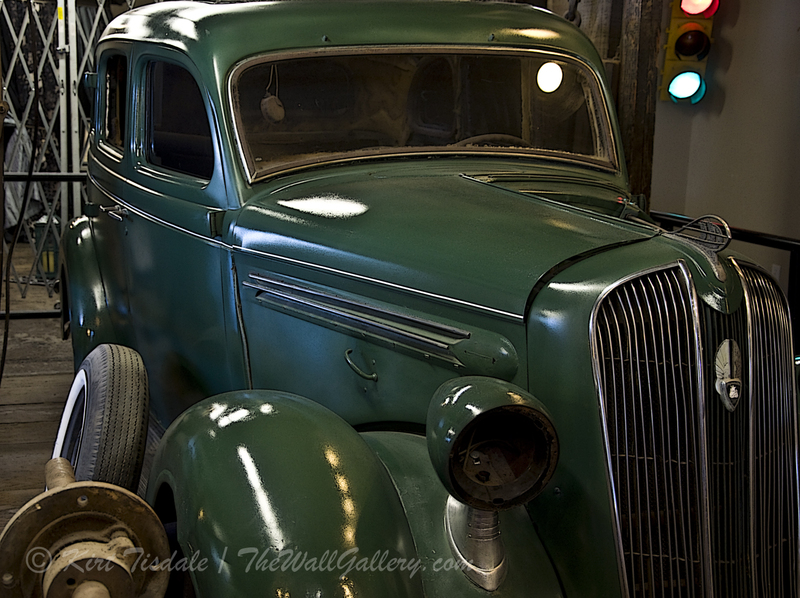 Each style creates a completely different look of the same subject matter. 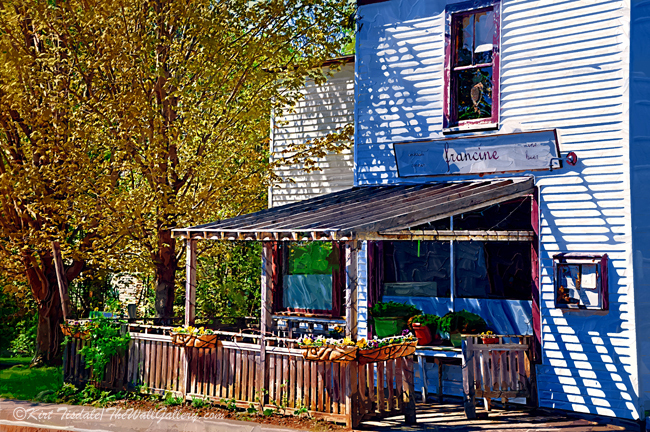 As an example I have attached three styles I used on a roadside cafe in New England. The first example is a very subtle impasto style. Usually with the impasto style the brush strokes are bold a colorful. In this case, I toned the brush strokes down to a very subtle look. In this next version I went with an old world “Gothic” style, which stays with strong earth tones. The last example is a fauvism style, which creates abstract oriented shapes and surreal colors. Same setting, completely three different looks. 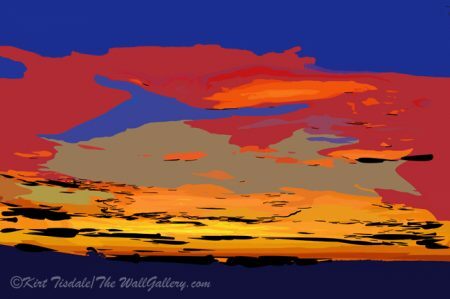 You may or may not like any of the looks which is ok…art is interpreted by the viewer and we all have different tastes. From my perspective I try to narrow it down to the presentation I think tells the best story and sometimes I simply can’t narrow it down to just one as I like the presentations each style presents. 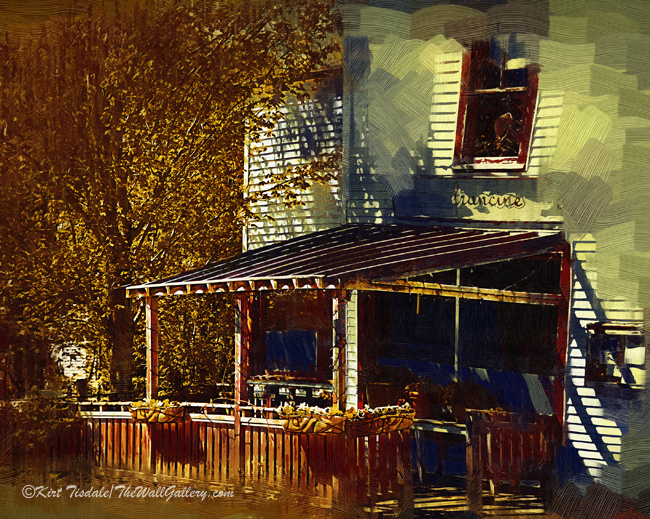 This entry was posted in Art Prints and tagged art galleries, artist kirt tisdale, fauvism, gothic oil, impasto, interior design, new england, online art gallery, roadside cafe on January 13, 2019 by Kirt D Tisdale. I have a gallery that focuses on “Street Scenes”, which is where these three prints come from. 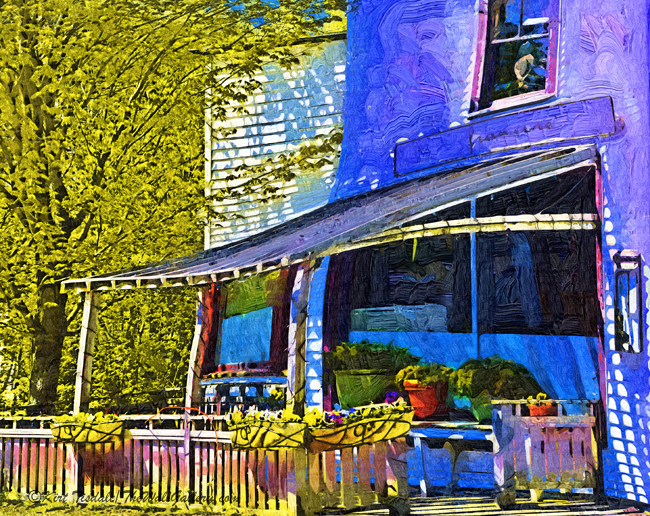 Most of my art in this genre is more pedestrian oriented and/or simple scenes of streets to highlight architecture of the buildings along that street or to create visual depth. With these three prints, I used a technique that creates an impasto style (impasto: the process of laying on paint or pigment thickly to allow the brush strokes to stand out from the surface). 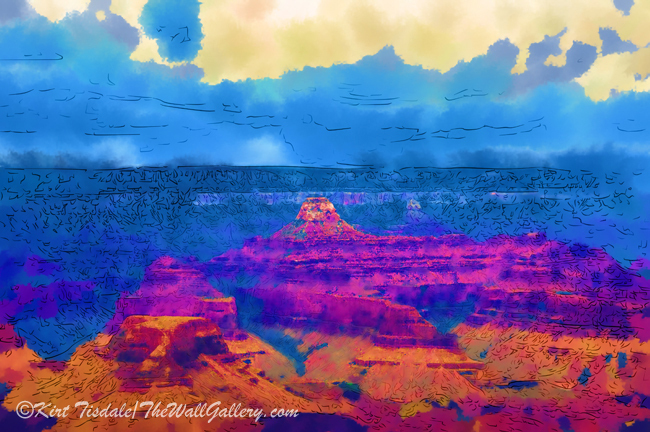 With this style I also use bright colors to compliment the bold brush strokes. The first print is of Whistler, British Columbia during the fall. Whistler is a beautiful village known for great winter skiing. What I liked about the village was the architecture and pedestrian friendly streets. You can feel yourself wandering down this street just enjoying the afternoon. With this second art print, same concept just a totally different location. This particular print is of a New England Village in the spring. 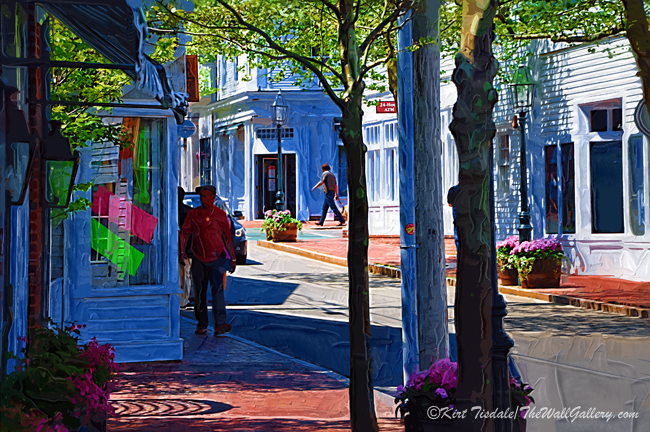 I was drawn to this scene because of the angle giving the street depth and intrigue with the pedestrians scattered. 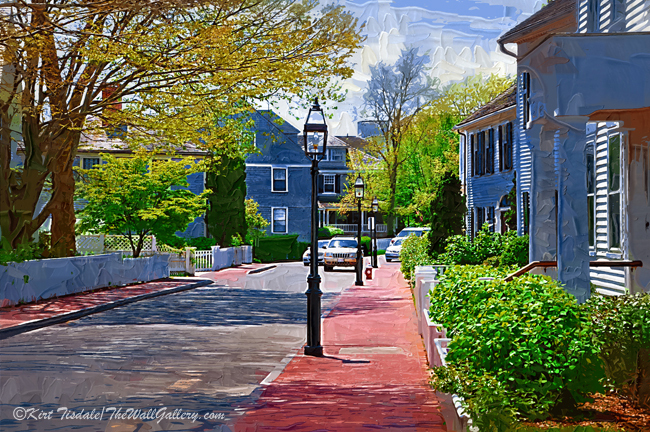 My final art print is again a New England village, with the line of quaint street lights creating depth and complimenting the brick sidewalk. 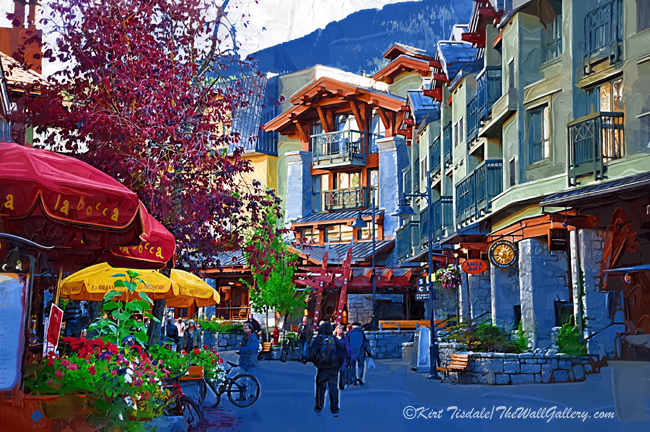 This entry was posted in Art Prints and tagged artist kirt tisdale, british columbia, impasto, interior design, new england, online art gallery, street scenes, whistler on June 8, 2018 by Kirt D Tisdale.